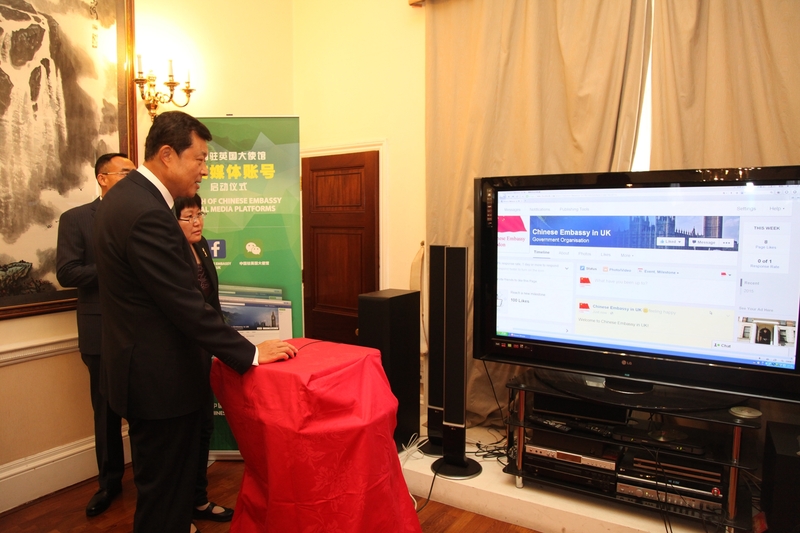 On 8 July, the Chinese Embassy WeChat and Facebook pages were officially launched. Nearly 200 guests were present at the ceremony, including John Pearson, Deputy Head of the China Department of the Asia Pacific Directorate of the FCO, Chairman Aidan Barclay of the Telegraph Media Group, Editor Chris Evans of the Daily Telegraph, Chairman Stephen Perry of the 48 Group Club, Chief Executive Officer Stephen Phillips of the China-Britain Business Council, representatives of local political, business, academic and media circles, and overseas Chinese and students in the UK. More than 20 Chinese and British media, including Xinhua News Agency, People's Daily, China Daily, Phoenix TV, UK Chinese Times, BBC, Reuters and the Daily Telegraph covered the event. 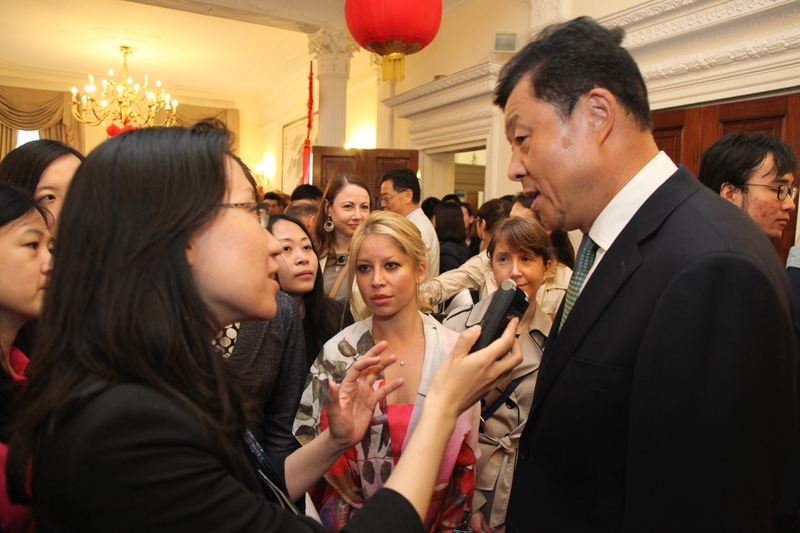 The launch event began with a speech by Ambassador Liu Xiaoming. He said that the Chinese Embassy is launching its social media platforms to keep abreast with the surging waves of new media. These platforms will play a positive role in three areas. First, they will reach out to the public with latest and authoritative information about China-UK relations, serving as a platform for understanding China-UK relations. Second, these social media platforms will help draw a much larger circle of friends into building the China-UK relations. The focus will be to communicate on issues that are of interest to the everyday people. 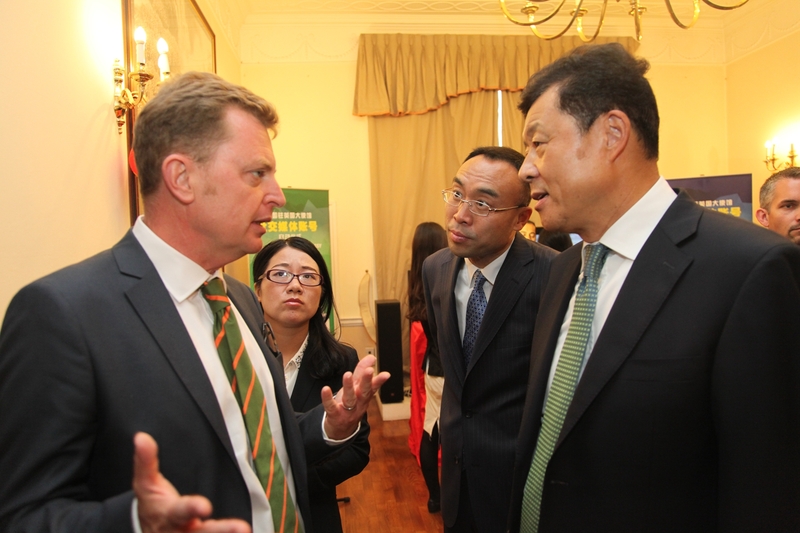 Those who care about China-UK relations and want to see it grow can meet up, come to know each other better and share views and opinions. This is especially so for the young people. Third, they will offer more prompt and considerate consular information services for Chinese citizens in the UK, making everyone who uses it feel at home. After the speech, Ambassador Liu pressed the publish button and posted the first message on the Embassy Facebook page. The guests welcomed the launch of Chinese Embassy social media platforms, believing that it marks a new major step in public diplomacy and wasting no time in visiting and following the Embassy WeChat and Facebook pages. As the first fans of the Embassy social media platforms, they were ready to share them with friends. They also gave their best wishes for the Embassy social media platforms to grow stronger and stronger and to attract more and more fans.